Graphic designer Brye Kobayashi put together an absolutely fantastic concept for what a completely redesigned (with OS X 10.10 in mind!) iTunes Mac app could look like. Kobayashi’s thought process and design work behind the concept is fascinating, so check out some of the other shots below and on his website. 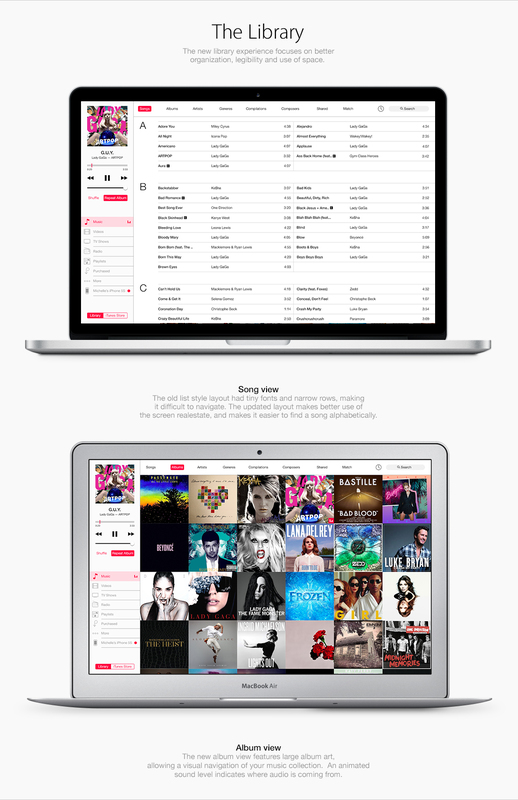 It’s no secret that some users find iTunes on the Mac too cluttered, so a redesign is very much wanted.